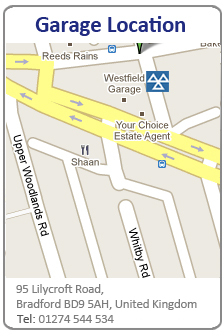 If you're looking for a professional and reliable garage services in Bradford then look no further than Westfield Garage. We are a company accredited by the good garage scheme, a high accolade in our line of work, and we have a reputation for being a professional and well respected garage. So no problem is too big or small for us to deal with. We have a wealth of experience as the company has been established since 1946 and so can be trusted to know what we are talking about. We are very reasonably priced so you are getting quality service for your car at a quality price. No matter what car you have we will be able to diagnose, repair and service it to the most professional standard money can buy. Our professionalism is highlighted by the fact we are an Ltd registered company.